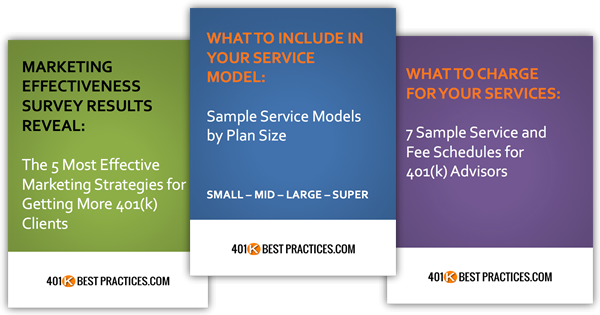 Valuable resources, time-saving tools, and proven strategies to grow your 401k business. First, let me give you MY best resources – for FREE! Click the button below and I’ll INSTANTLY send you my 3 most popular Strategy Guides to get you started. Then throughout the month, I’ll give you new ideas to grow, service, or manage your 401k business. Send me the Free Strategy Guides!